As the war continued and the high number of casualties became known, volunteers were less keen to enlist. The New Zealand Government found it more difficult to fulfil the commitment it had made to Britain to provide reinforcements; by October 1915 this annual commitment had risen to more than 30,000 men. As a result conscription was introduced in 1916 and initially covered unmarried men, widowers with no children and men married after 4 August 1914. The conscripts were called up by a monthly ballot. Individuals, or their employers, could appeal for exemption on the grounds that their service would be contrary to the public interest, or would cause undue hardship to themselves or others. Civilian Military Service Boards were set up to hear the cases of those who were appealing against military service. The Defence Act allowed for religious objectors, but for appeal against military service to be successful objectors had to belong to a denomination that had pacifism as a central tenet of belief. The only communities that qualified were the Quakers (also known as the Society of Friends), the Christadelphians, with the Seventh Day Adventist Church successfully arguing that it be included the following year. Such objectors also had to be willing to do non-combatant work in the Military Medical Corps or Army Service Corps. Many religious objectors refused to do so because though non-combatants they would still be under military orders. Public feeling against those who objected to military service, popularly known as ‘shirkers’, was extremely hostile. War regulations meant that the peace movement was effectively silenced because to speak or write against conscription or the war effort was ‘seditious’ and punishable by imprisonment. The number of political prisoners, or conscientious objectors (COs), imprisoned in Aotearoa New Zealand during the war is not known but is estimated to be between 300 and 400. At the war’s end there were 273 COs in prisons throughout the country with 60 at Paparua Prison near Christchurch. Women were not directly affected by compulsory military training or conscription, but many mothers, wives, aunts, sisters and grandmothers had strong feelings about the issue. While most women accepted the Government view that it was their duty to send their young men to war to protect the Empire, a few brave individuals spoke out against this tide of opinion. Women were involved in the National Peace Council (NPC) from its founding in 1911 and some worked as volunteers in the NPC office. 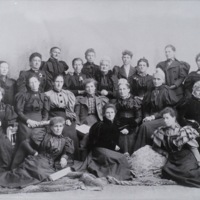 Women also supported the objectors by passing resolutions at meetings of their own organisations, especially at meetings of the Canterbury Women's Institute. Women wrote letters to the newspapers and made public statements against conscription. They published and distributed flyers and encouraged the resisters or objectors when they spoke at public meetings. Women also attended court hearings and visited the resisters and objectors in prison. They protested also on the political front, writing letters to politicians urging them to reconsider the government’s position on conscription. 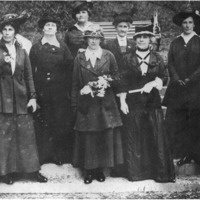 The Canterbury Women's Institute organised public meetings and two of its members in particular, Ada Wells and Sarah Page, became well known as public speakers against militarism. This took courage but the women were supported by their colleagues in the peace movement and, unlike the men, were not harassed by the police. In the early part of the 20th century Christchurch was a hotbed of socialism, and the advent of the First World War rallied the movement around class-consciousness. The socialists espoused the belief that New Zealand workers had no quarrel with German workers; on the other side of the world, German workers were saying the same thing amidst massive street rallies. Some were imprisoned on Ripapa Island for refusing to register for Compulsory Military Training, some spent time in Lyttelton Gaol for sedition, and others were incarcerated in Paparua Prison for conscientious objection. The conscientious objectors lost their rights as citizens for ten years following the War. Several of the seditionists and conscientious objectors became prominent local and national Labour politicians. One was Christchurch East's MP for twenty years, and another Prime Minister of New Zealand. Together they formed a government that built one of our country's finest achievements: the Welfare State. They cleared slums and built public housing, hospitals and schools. The Canterbury socialists refused to participate in a foreign imperial war, but one hundred years ago they were at the very epicentre of a class one. The end of the war did not mean the end of the peace movement. Instead, in the interwar years there is a changing, growing and shifting peace movement with the strength of some organisations declining while other, more avowedly pacifist organisations, sprang up with new vigour. There is a new commitment to the concept of an international league of nations; a realisation that peace groups needed to stand alone from political parties and a greater understanding of the need for an international perspective and co-operation in the Pacific. 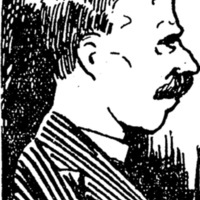 The National Peace Council continued to function with Charles Mackie as its secretary, though it did not retain the leadership role it had earlier enjoyed. The Canterbury Women's Institute had gone into recess by 1921; possibly the anti-militarist and socialist views of its two leaders during the war, Sarah Page and Ada Wells, had proved too radical for other members. A branch of the Women's International League (later to become the Women’s International League for Peace and Freedom or WILPF) was active in Christchurch in 1916 to 1918, but then seems to have faded away. A new initiative was the League of Nations Union which had the support of conservative politicians, but suffered from internal disagreements between those who were pacifist and those who believed the League of Nations needed to act with force at times. Compulsory Military Training remained in place and some young men continued to go to prison rather than drill or pay fines. By 1922 there had been a total of 22,000 prosecutions under the Defence Act. 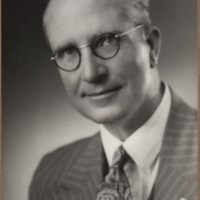 In 1927 theological student Alun Richards refused to drill and lost his civil rights (which meant he could not vote or stand for public office, or gain government employment) for ten years, as well as having to pay a fine. The publicity surrounding this prosecution gave rise to a petition and deputation to the Prime Minister, with the result that compulsory military training came to an end in 1930. We desire to be just and loving to all men and women; to work together as brothers and sisters; to be kind to every living creature, and to help to form a new society with justice as its foundation and love as its law. The Christian Pacifist Society, which was to be such a force during the Second World War, was established in Wellington in 1936, with a branch opening in Christchurch in 1938. At very much the same time the Peace Pledge Union first met in Christchurch in 1938. 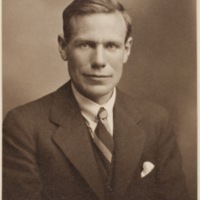 It was these fresh new pacifist groups with leaders including Lincoln Efford, Charles Cole, Thurlow Thompson, Norman Bell and J.R. Hervey who led the peace movement in Canterbury in the lead-up to the Second World War.